We have a digital x-ray system on-site, allowing us to provide you the best quality treatment possible without having to send you out for radiological imaging. Depending on your history, injury and/or specific condition, x-rays may be medically necessary. 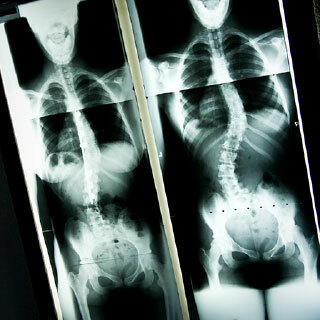 X-rays will alert the doctor of any serious spinal and/or extremity conditions and assist us in developing the most effective treatment plan for you. The digital images are taken in clinic and sent to an outside imaging center to get an additional opinion from a radiologist. Because the x-rays are digital, copies of your images can easily be burned to a cd, allowing you to take the images to your other physicians. Call us for an appointment at 694-9224. Office hours are Monday thru Friday 9:00am - 7:00pm and Saturday 9:00am - 5:00pm. We are located across from the Post Office on Business Blvd, just past Carrs off the Old Glenn.